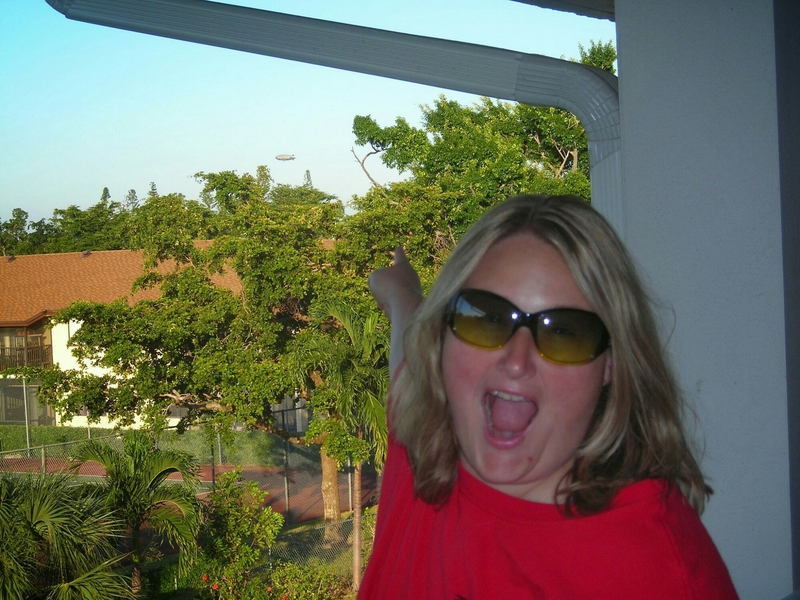 Allison sees the Goodyear blimp from the front door of our condo in deerfield beach. Item of note, the condo was sold Monday, and it was a wash. No real profit, but no more condo fees or mortgage payments. I have no more financial ties to Florida. I honestly didn’t expect this outcome. To say I’m disappointed and unpleasantly surprised is an understatement. I’m more than a little dumbfounded. I thought that the country would not choose someone so comically undistinguished and ill-suited to be the commander-in-chief. I thought the republicans somehow magically found a way to pick a candidate less appealing to voters than the democrats, but it seems we prefer to pick someone who acts like a petulant and spoiled child, or maybe an amok chimp with a handgun. Apparently we like the angry monkey, he makes us laugh. Mind the teeth, chimps can get mean. Like it or not, he’s our president now. Our job is to remind him that he answers to us, and we as a group are going to have to make sure that he, his vice-president, and rest of the folks elected are pushed toward a sane agenda. I’m just not sure how to accomplish that goal. He seems to exist in another reality, where he can say and do anything and not worry about being taken to task for it. I’m luckier than the folks that will take the brunt of this situation. I’m a white, straight, married, fairly financially stable male. My family has decent medical insurance. I’m too old and infirm to worry about being conscripted into any wars with which we might get involved. I don’t know how to process this. My heart goes to everyone who will be affected by this. ​BREAKING: Donald Trump is elected president of the United States.